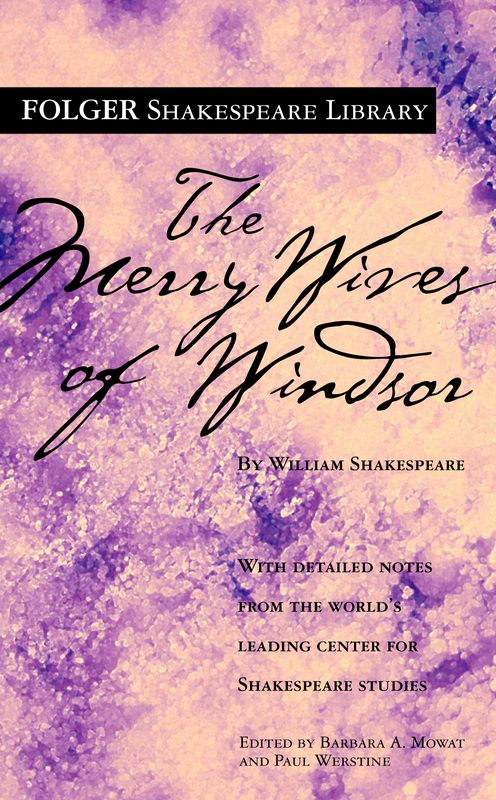 Shakespeare’s “merry wives” are Mistress Ford and Mistress Page of the town of Windsor. The two play practical jokes on Mistress Ford’s jealous husband and a visiting knight, Sir John Falstaff. Merry wives, jealous husbands, and predatory knights were common in a kind of play called “citizen comedy” or “city comedy.” In such plays, courtiers, gentlemen, or knights use social superiority to seduce citizens’ wives. The Windsor wives, though, do not follow that pattern. Instead, Falstaff’s offer of himself as lover inspires their torment of him. Falstaff responds with the same linguistic facility that Shakespeare gives him in the history plays in which he appears, making him the “hero” of the play for many audiences.